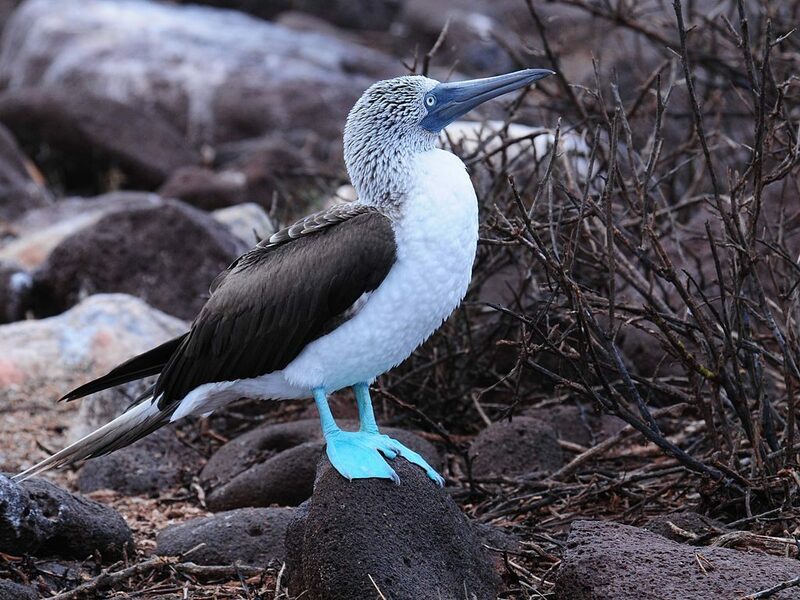 The Blue-footed Booby Bird is a comical-looking tropical seabird with bright blue webbed feet and bluish facial skin. The head of the bird is a pale cinnamon-brown with dense white streaks. On the back of the neck, there is a white patch where the neck connects to the mantle. The lower breast, central tail feathers and under parts are white. Its blue tapered bill has serrated edges that enables the bird to tightly grasp fish. Find out more!